All the pilgrims arrived. It was actually miraculous the way some of it worked out. Missed connections due to the miserable volocano, but the Lord’s blessing overcame at every turn. All are here, had a great dinner and are settled in for the night. 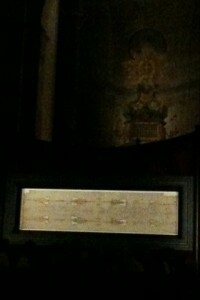 More soon, but I ran today in Turin (Torino) and was able to see the Shroud. Others in our group visited the Church of San Giovanni Baptista and saw the Shroud too. You can see my run here. Tomorrow we have our schedule visit to get close and pray in front of the Shroud. Stay tuned. I will be posting today’s video soon! Is the “New Mass” Valid? An Audio Debate! Debate: Is the New Mass Valid?